I left at a little after 5:00pm; my trip started by picking up my cousin. I fought through congested Jersey highways until I got there at around 6:00pm. We got to the fair at maybe 6:30. It was three bucks for parking, seven bucks to get in, and 20 smackers for the unlimited rides handstamp. $20 isn’t bad at all for the handstamp considering that tickets were $1.00 each with most rides taking 4 to 5 tickets. 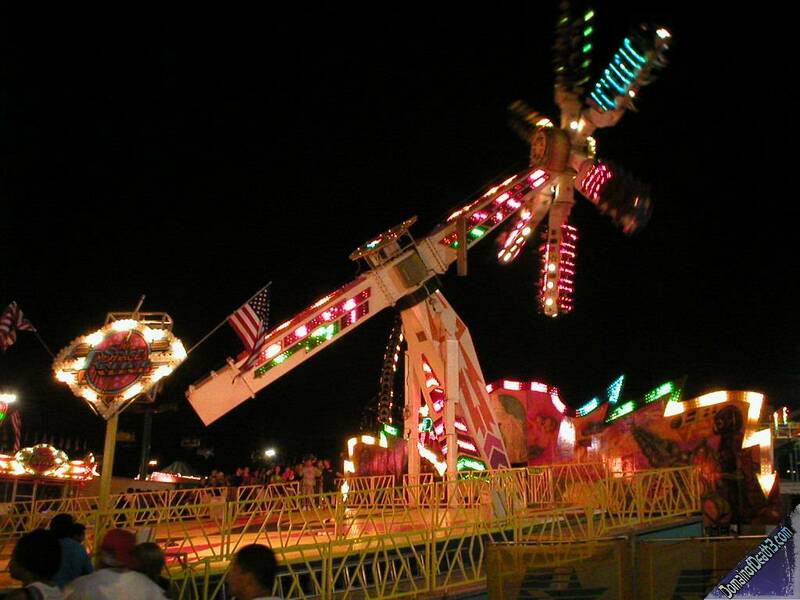 Our first ride was one of the two Flying Bobs present at the fair. 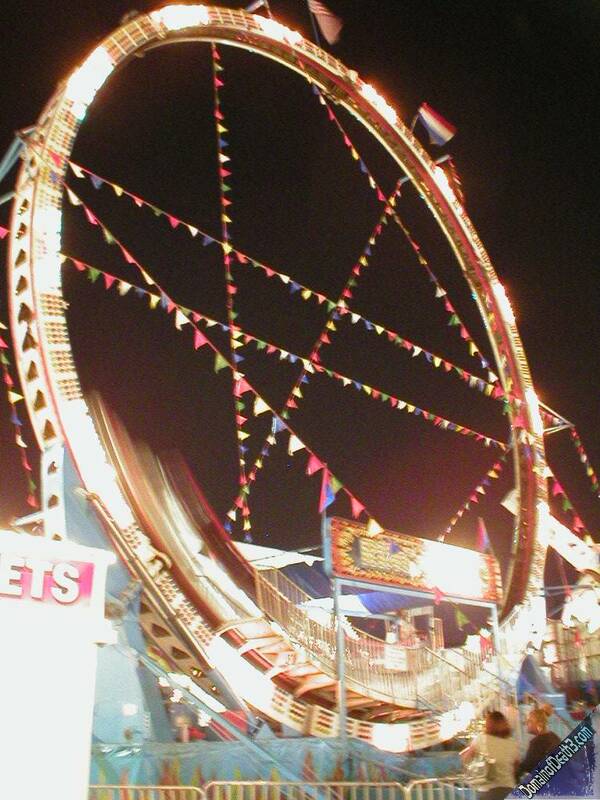 The ride was operated by four guys who just looked like the stereotypical carnies. We were ushered into our car and we attempted to fasten the seatbelt, which was too short. One of the ride ops said that we didn’t need it and that was that! You really don’t on one of these Himalaya rides. The ride was pretty jerky and only went forwards. To its credit the cars swung pretty nicely over the hill crests. The ride was also about 3 minutes in length. We then walked around until we got to the Tivoli made Orbiter; a complete sleeper thrill ride if I’ve ever seen one. This Orbiter had a multicolored color scheme and was in incredible condition. The ride was short, but that was good considering that it absolutely flew! 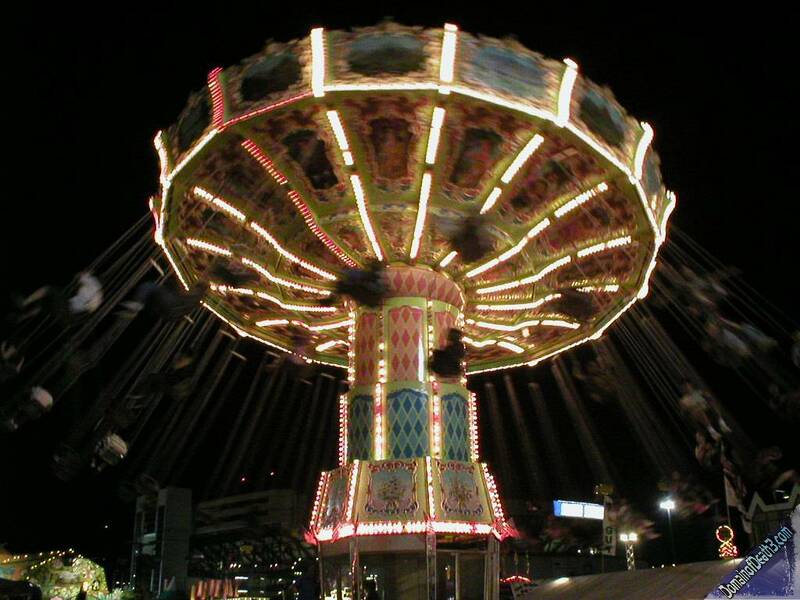 I’ve never been on faster Orbiters than the ones at the Meadowlands Fair through the years. 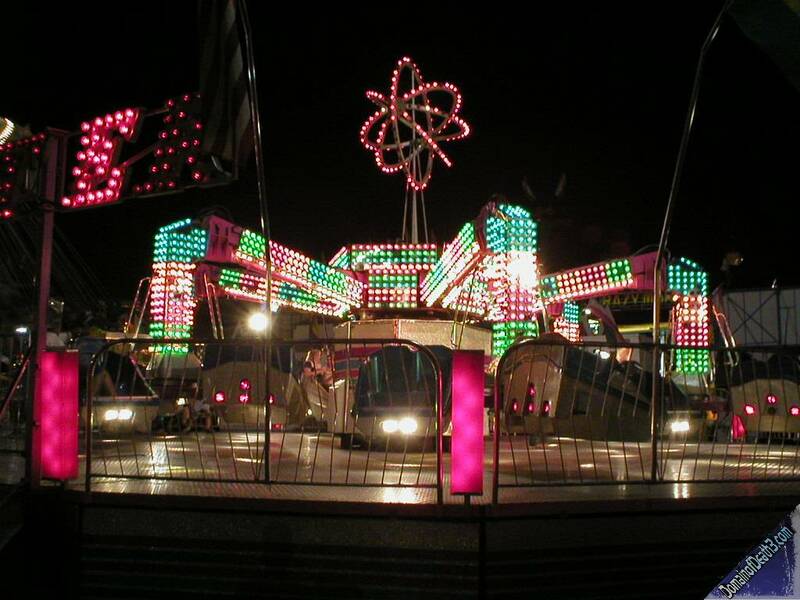 At night this ride lit up with a great light show complete with strobes which can be seen in the video below. We both had to sort of walk off the Orbiter, and after some time we decided to ride the massive Mondial made Space Roller. The Space Roller has made an appearance at the fair almost every year since maybe 2003. 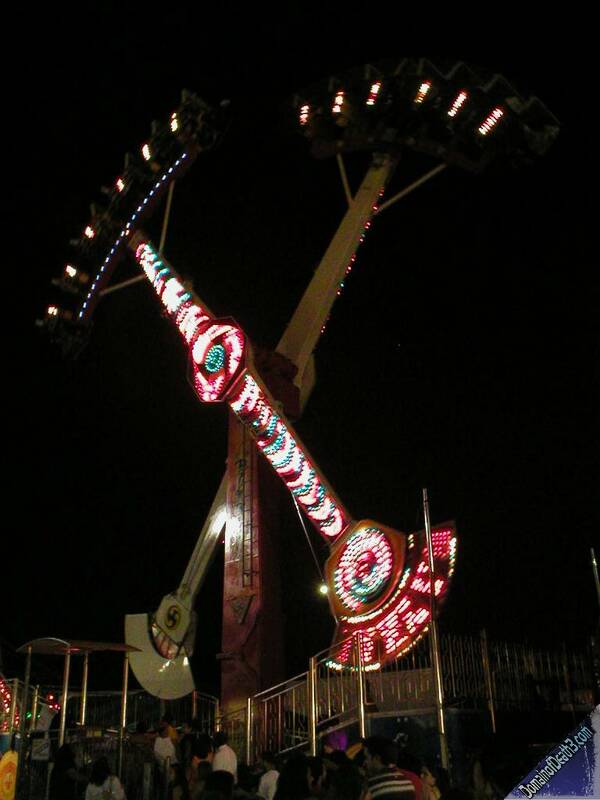 This ride had a nice cycle with quite a few moments where we were whipped around and hung upsidedown. It was a really good ride, but afterwards we both felt a bit of queasiness. My cousin is prone to motion sickness so that’s normal, but for me it’s a sign that I’m getting less and less tolerant to spinning rides. I used to be able to get off rides like this and scramble back in line, but not anymore! However, there is no way that I’m going to stop riding them, I still find them insanely fun! I mean, It wasn’t too bad but enough to keep my feet on the ground for a little. We decided to go over to the vendors area in the meantime. At a table near the middle of the vendors area sat Joe Gannascoli (aka Vito) from the HBO drama The Sopranos. Next to him was the white SUV that they used in the show. He was doing a book signing or something. A photo with him would have been perfect for this trip report but I most likely would have had to buy whatever he was pitching to do so. I mean it’s Vito…not James Gandolfini (aka Tony.) 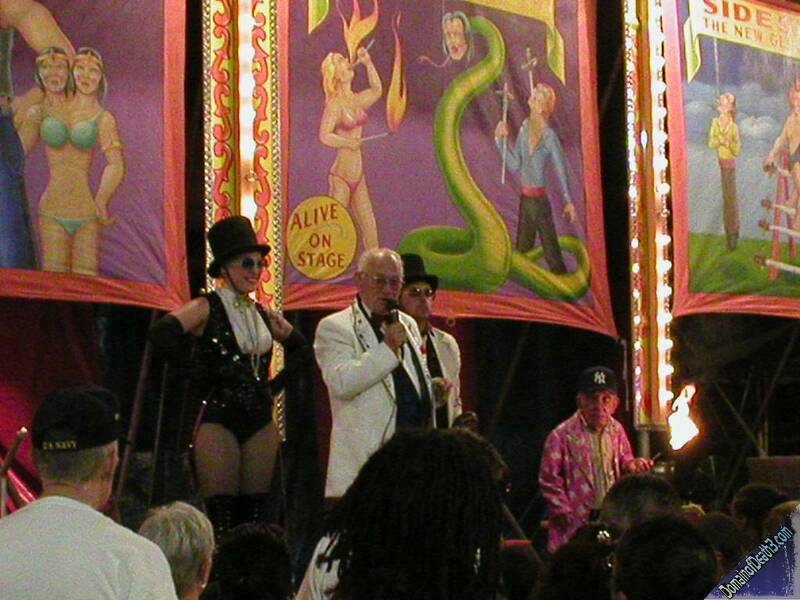 Nice touch though, a guy from the Sopranos at a fair in the heartland of Sopranos filiming terrotory. The next, and last ride was the Bonsai, a Fabbri floorless Kamikaze. This was the first time that I had seen them load both sides of the ride; probably due to the lines that were getting longer as the night wore on. As soon as the ride was about to start, I suddenly felt my stomach start to churn, most likely from the pizza I ate during the downtime between rides. “oh great, this isn’t gonna be fun…” I thought. Nothing happened of course, despite being hung upsidedown for about 20 seconds. It was a really good cycle with some very fast loops. The loading was a bit long but what do you expect when there’s only one ride operator? At about 10:30 or so the lines began to get horribly long for every major ride at the fair. The longest line we waited in was for the Bonsai, which was probably only like 15 minutes. A little later the line for the Bonsai was protruding down into the middle of the midway. The Space Roller had people gushing out of its “holding pen” area and the Fireball had a line that must have extended like 100 feet from the ride. 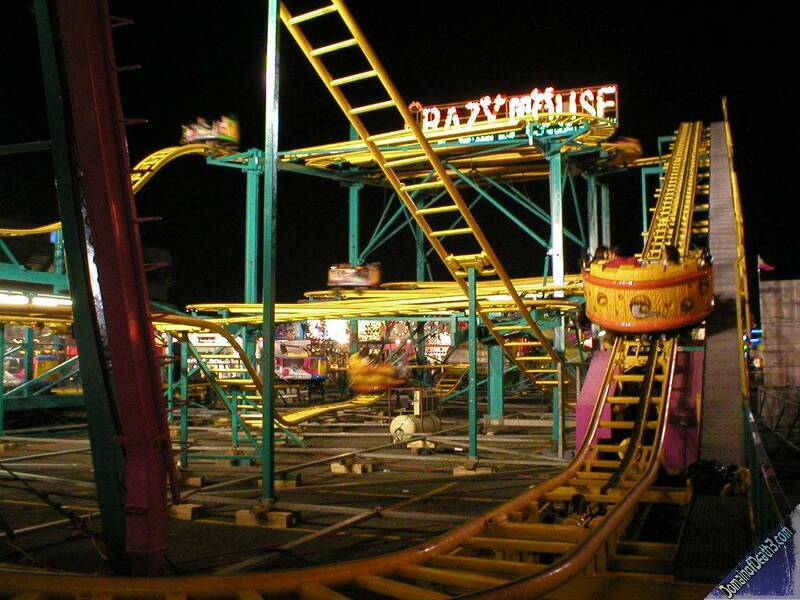 The only major ride that didn’t really have a long line was the Ring of Fire; but I’d be hard pressed to ride that thing again! I did take a few pictures of it and while doing so I noticed that the ride op stopped the cars upsidedown for, no joke, like 30-45 seconds! We left the fair at around 11:30.